You don't have to go to New York City for an incredible night at the theater. See Broadway caliber shows right here in the Detroit area! 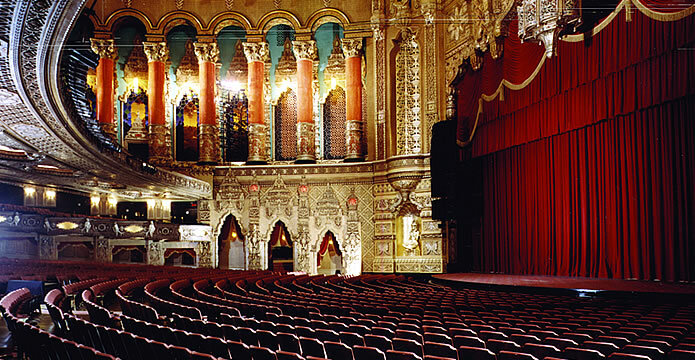 The Fox Theatre, Fisher Theatre, and Detroit Opera House are just a view incredible venues that house amazing plays, musicals, ballets, operas, and orchestras throughout the year. Enjoy a classy evening with your friends, family members, or significant other. There are several upscale restaurants in the area to dine at before the show, and plenty of bars and coffee houses open for a late night drink. If you are into independent productions and smaller shows, there are many small theaters sprinkled throughout the city and suburbs. There is always something playing that everybody will enjoy! Detroit is filled with artists who are passionate and hardworking. It's never a bad idea to support your local artists, and a trip to one of the amazing theaters is sure to make for a fulfilling experience. Nothing swells your hometown pride like visiting the talented people who reside in your area. With a limousine or party bus, you can make your trip to the theatre one to remember for years to come. The next time you're planning a theatrical outing to one of these places, renting a limousine or party bus is never a bad idea. You won't have to worry about finding a parking spot or dealing with hectic event traffic when you decide to roll around in a luxury vehicle. The amenities provided are sure to make you feel like a celebrity, and a limousine or party bus might just be what you need to have a great time!